YESTERDAY, ON THE 10th MAY, on his last official outing as Président de la République, François Hollande attended an exhibition to mark the Journée nationale des mémoires de la traite, de l’esclavage et de leurs abolitions in the Jardin du Luxembourg. Accompanied by the new President-Elect, Emmanuel Macron, and the President of the French Senate, Gérard Larcher, Président Hollande laid a wreath and toured the exhibition. Like Portugal, Spain and Britain, France has an inglorious past when it comes to the slave trade. Throughout the eighteenth and into the early nineteenth century, French ships transported around 1,250,000 enslaved Africans to plantations in the Americas and the Caribbean. France officially abolished the transatlantic slave trade in 1826, although it did continue unofficially and sporadically for some time after, and slavery in the French colonies was finally abolished in 1848 with a general and unconditional emancipation. In 2001, the French Senate passed a law recognising slavery as a ‘crime against humanity’ and in 2006, the then French Président, Jacques Chirac, called for the ‘indelible stain’ of slavery to be remembered on a national day of commemoration on the 10th May each year, the first of its kind in Europe. After Président Hollande and his party left, I went to take a closer look at the exhibition. Located in one of the iron pavilions in the Jardin du Luxembourg, the exhibition, which runs until the 9th June, comprises a series of explanatory panels tracing the history of the French involvement in slavery and the slave trade up to its eventual abolition. I found it both interesting and unsettling. 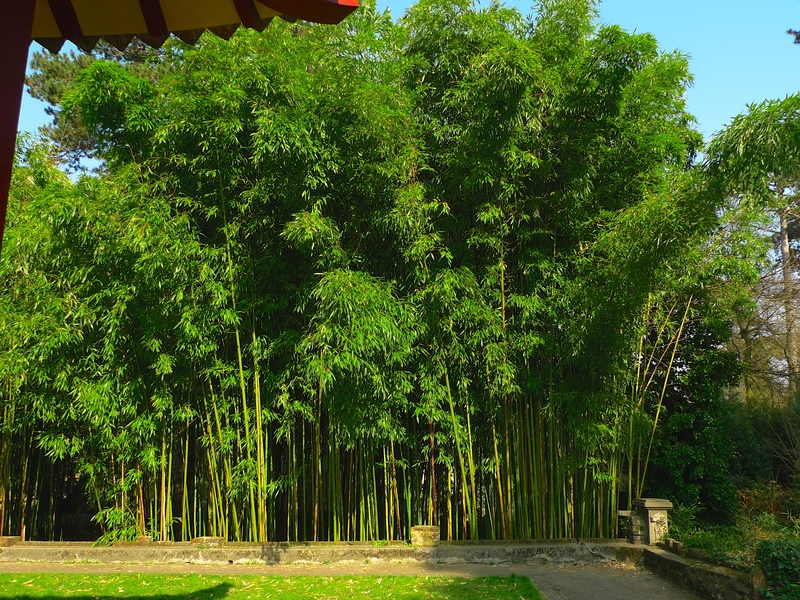 Having explored the exhibition and being in need of a change of scene, I walked the short distance from the exhibition pavilion to the Jardin de la Roseraie, an enclave set within the Jardin du Luxembourg – a garden within a garden so to speak. Surrounded by a hedge and with the statue ‘La messagère’ by Gabriel Forestier (1889-1969) as its centerpiece, the Jardin de la Roseraie provides both relaxation for adults and a playground for small children. I found the contrast between the sun drenched Jardin de la Rosaraie and the slavery exhibition very stark indeed. In my imagination I couldn’t help juxtaposing the sounds of the gamboling children in front of me with the haunting sounds of African slaves entombed in slave ships crossing the Atlantic. Jacques Chirac’s ‘indelible stain’ barely begins to describe it! BUILT ON THE SITE of a former Montmartre abattoir, the Square d’Anvers takes its name from the Belgian port of Antwerp. It was named to mark the French victory against the Dutch at the Siege of Antwerp in December 1832. The square was opened in 1877. The French architect, Jean-Camille Formigé, chief architect of buildings, promenades and gardens in the city of Paris during the French Third Republic, designed the Square d’Anvers as well as many other things across the city. In addition to the Square d’Anvers, his legacy includes the Pont de Bir-Hakeim, the Viaduc d’Austerlitz, the dramatic sloping park in front of the Basilique du Sacré-Coeur, the crematorium of the Cimetière du Père-Lachaise and the greenhouses in the Jardin des Serres d’Auteuil. 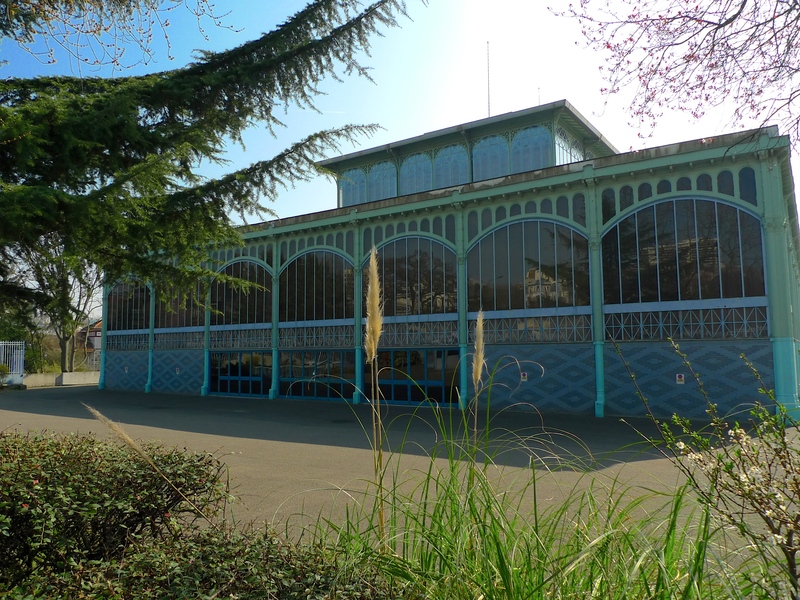 One of the main features of the Square d’Anvers is the elegant kiosque à Musique, or bandstand. These ‘kiosques’ first became fashionable in France in the eighteenth century although, save for one employed by a Turkish café in the boulevard du Temple so that an orchestra could play shaded from the sun and rain, they didn’t really become popular in Paris until the late nineteenth century. 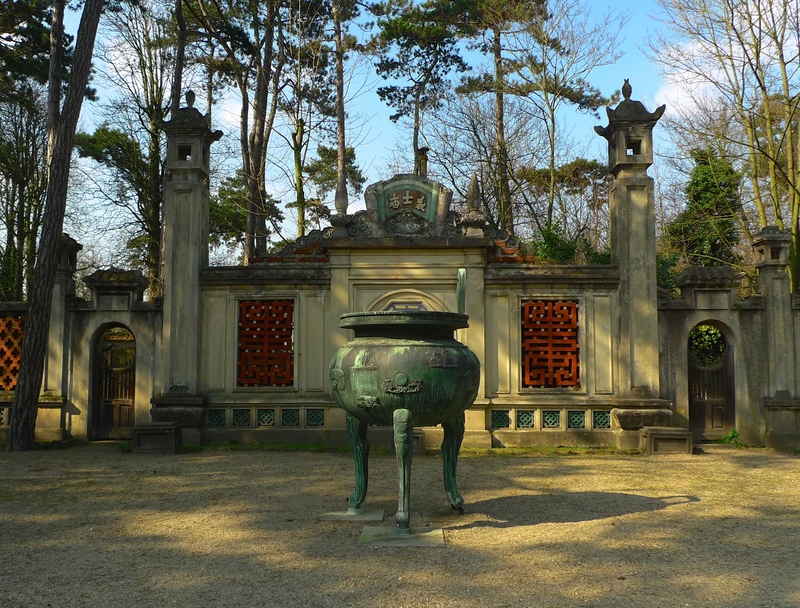 The word ‘kiosque’ comes from the Arabic-Persian word, ‘kiouch’, a decorative oriental style pavilion originally with no connection to music. 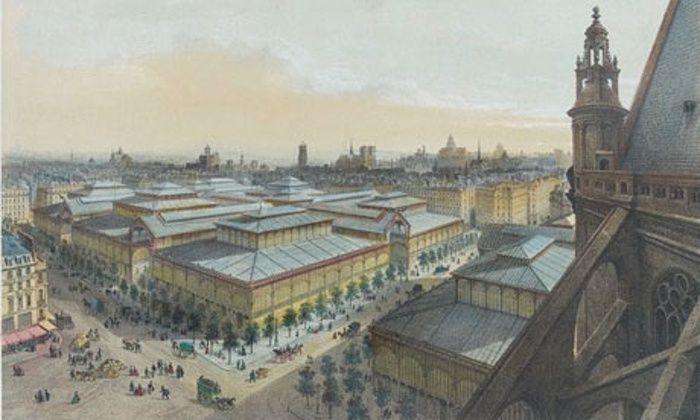 At the beginning of the Second Empire, some French garrison towns erected kiosques in public squares so that the regiments could offer free concerts to the public. Kiosques, or bandstands, began to appear in Paris, first in the Jardin du Luxembourg in 1888 and then in other neighbourhood squares. 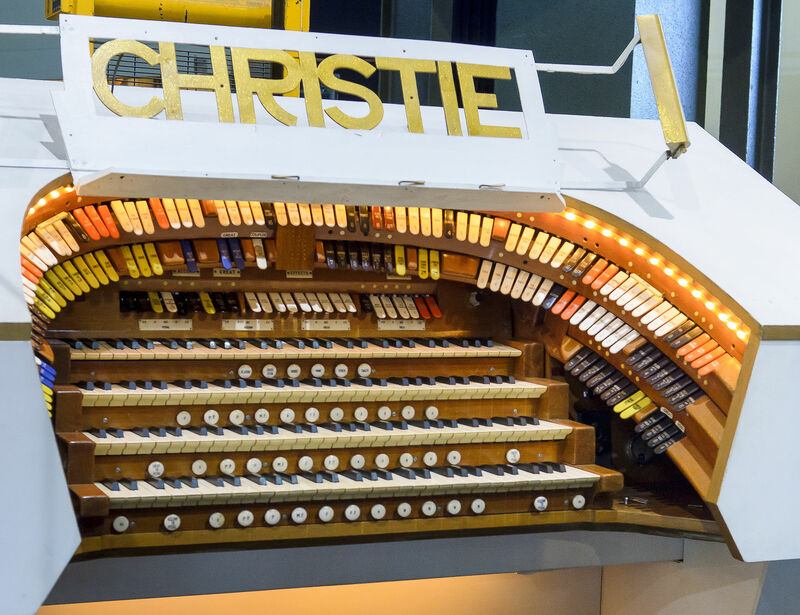 Their popularity declined in the second half of the twentieth century but they are now gaining a new lease of life in some parts of the city. Originally, the Square d’Anvers had two monuments: a statue of the philosopher, Denis Diderot, by Leon Aimé Joachim Lecointe (1826-1913) and a colonne de la Paix armée, a column surmounted by a statue of Victory. Square d’Anvers. Statue de Diderot et colonne de la Paix armée. Paris (IXème arr.). Photographie de Charles Lansiaux (1855-1939). Plaque de verre, 22 avril 1920. Département Histoire de l’Architecture et Archéologie de Paris. The statue of Diderot was acquired by the city of Paris in 1884. It was originally installed in the Square Maurice-Gardette (formerly Square Parmentier) in the 11th arrondissement but in 1886 it was transferred to the southern end of the Square d’Anvers. Along with about seventy other Parisian statues, the statue of Diderot and the bronze statue on top of the colonne de la Paix armée were melted down in 1942 during the Nazi occupation. In the 1970s an underground car park was constructed beneath the Square d’Anvers and the square was refurbished. More recently, further work has been done to incorporate a multi-sport space for teenagers and new play areas for younger children. At this time of the year the dominant sounds in the square are the sounds of birds singing and children playing but, for me, the most intriguing sounds come not from the birds or the children but from the squeaky gates leading to the avenue Troudaine at the southern end of the square. You can hear these sounds towards the end of my sound piece above: a perfect example of, to use Aimée Boutin’s phrase, the City as Concert. 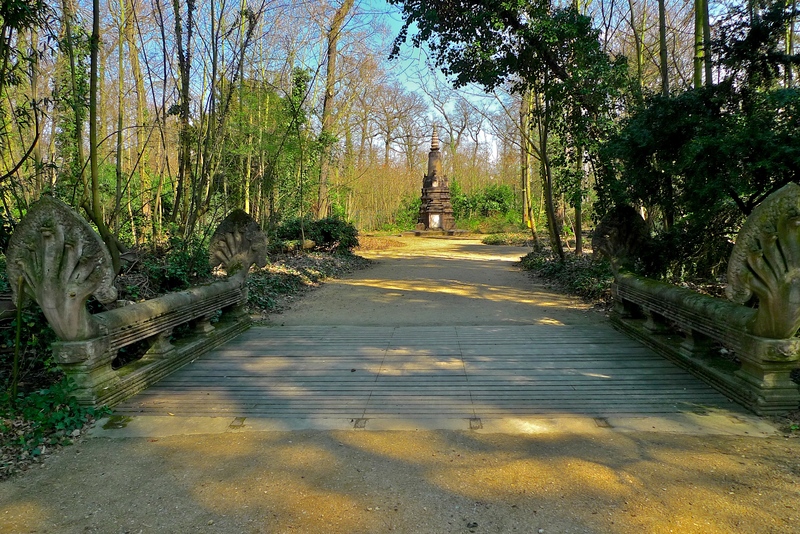 ONE OF THE ADVANTAGES of living in the west of Paris is the proximity of the Bois de Boulogne, a large public park located along the western edge of the 16th arrondissement. 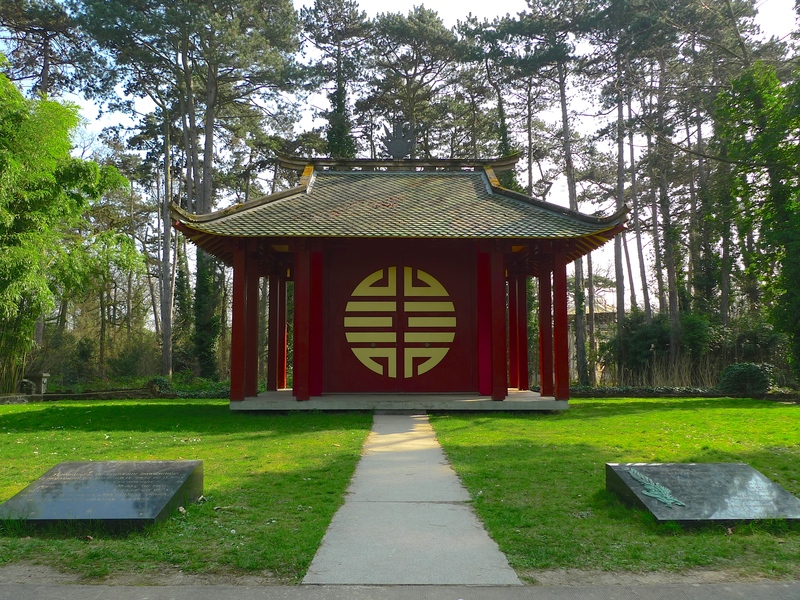 Covering an area of 845 hectares (2,090 acres), the Bois de Boulogne is, after the Bois de Vincennes in the east of Paris, the second largest public park in Paris. From my home it takes me a little over ten minutes to walk to the northern edge of the Bois de Boulogne and the Mere de Saint-James, once a sand and gravel quarry but now a lake with two islands, which are a sanctuary for birds and small animals. The Mere de Saint-James is one of several lakes in the park. Today’s Bois de Boulogne was originally an ancient oak forest, the Forêt de Rouvray, where French monarchs from Dagobert, the King of the Franks in the seventh century, to Louis XVI in the eighteenth century came to hunt bears, deer, and other game. The landscape of what is now the Bois de Boulogne has changed considerably since the time of Dagobert and Louis XVI. The Hundred Years War ravaged the forest in the fifteenth century and then thousands of trees were cut down for firewood and to build shelters when 40,000 soldiers of the British and Russian armies camped in the forest following the defeat of Napoléon Bonaparte in 1814, leaving an assortment of bleak ruined meadows, tree stumps and dismal stagnant ponds. When Napoléon III elevated himself from President of the French Republic to Emperor of the French in 1852, one of his schemes was to create two large public parks on the eastern and western edges of the city where both the rich and the ordinary people could enjoy themselves. Under the direction of Baron Georges-Eugène Haussmann, the man responsible for executing most of Napoléon III’s schemes, the French engineer, Jean-Charles Alphand was engaged to turn the bleak remains of the military occupation into the Bois de Boulogne, an undulating landscape of lakes, hills, islands, groves, lawns, and grassy slopes – an idealisation of nature. And Alphand’s Bois de Boulogne might have been what we see today had it not been for the ‘storm of the century’, the memorable hurricane of 1999. I remember it well! In the early hours of 26th December 1999 hurricane force winds whipped across France causing immense damage. A ten-minute walk from my home, some 40% of the surface of the Bois de Boulogne was completely devastated with the wind felling around ten thousand trees. Thanks to prompt action by the Paris City Council oak trees now cover about 50% of what was once the Forêt de Rouvray and cedars, plane trees, ginkgo-bilobas and countless other species share the rest. As for the wildlife: well, the bears, deer and the other game that Dagobert and his successors hunted with such relish no longer wander amidst the present day oaks. Today, if you can set aside the ever-present noise pollution drifting in on the wind, you might be lucky enough to see and hear a variety of birds; woodpeckers, chiffchaffs, nuthatches and goldcrests along with wrens, robins, blackbirds, wood pigeons and thrushes. The keen-eyed might even spot the occasional sparrowhawk or kestrel passing overhead. Standing beside the lakes in the Bois de Boulogne though one is almost guaranteed to see and hear a variety of waterfowl. When I went to the Mere de Saint-James the other day I was able record the cacophony of mallard ducks, moorhens, geese and mute swans. Spending as much time as I do recording and archiving the urban soundscapes of Paris, the sounds of the human species in the Parisian streets, I relish the chance to record wildlife sounds in the urban environment when I can. Sadly, the opportunity doesn’t come along all that often so when it does, I make the most of it. LOCATED IN THE Marais district of Paris, the Hôtel Salé in rue de Thorigny is a tourist hot spot. It was built between 1656 and 1659 for Pierre Aubert de Fontenay, a tax farmer who amassed a fortune collecting the gabelle, a hugely unpopular salt tax. Aubert used his wealth not only to buy land in the Marais upon which to build his hôtel particulier but also to purchase the office of Secretary to the King thus ensuring his entry to the nobility. Aubert’s contemporaries referred to his mansion in derisory fashion as the Hôtel Salé – in French, salé means salty or salted. After Aubert’s death, the mansion changed hands several times either by sale or inheritance. In 1671, the Embassy of the Republic of Venice moved in and then François de Neufville, duc de Villeroi. The property was expropriated by the State during the French Revolution. In 1815 it became a school, in which Balzac studied, before housing the Ecole Centrale des Arts et Manufactures in 1829 and then the municipal École des Métiers d’Art. 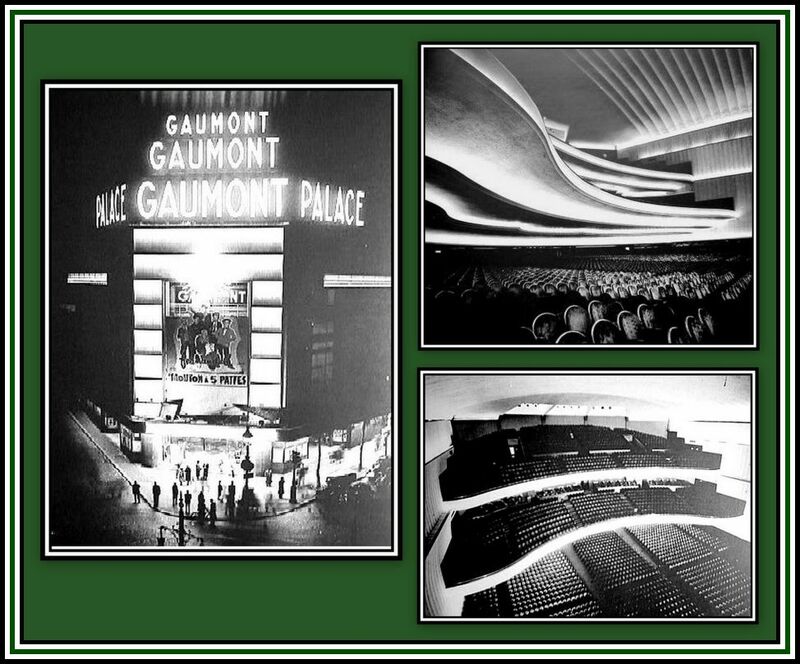 It was acquired by the City of Paris in 1964 and granted historical monument status in 1968. Today, the Hôtel Salé houses the Musée Picasso, an art gallery dedicated to the work of the Spanish artist, Pablo Picasso. When Aubert de Fontenay built his mansion he included a garden and a planted terrace at the rear. Today, most of that garden is enclosed within the iron railings bordering the Musée Picasso but a small part of it, in medieval times an orchard of fruit trees, vegetables and aromatic plants, is now a public park, the Jardin de l’Hôtel Salé-Léonor-Fini. 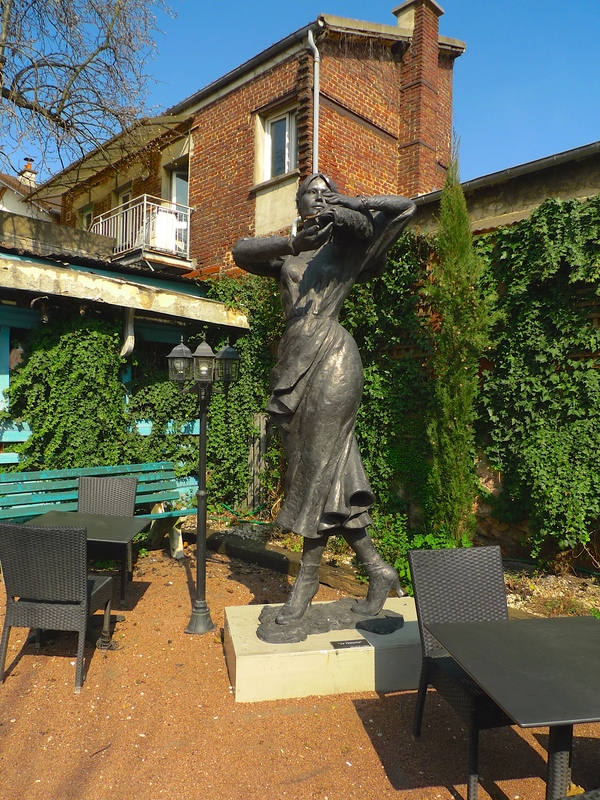 The name of the park not only reflects Aubert’s hôtel particulier and the Musée Picasso but also the work of another modern artist, Leonor Fini (1907 – 1996), the Argentinean surrealist painter, designer, illustrator, and author, known for her depictions of powerful women. Not minded to join the seemingly endless queue coiling round the courtyard of the Hôtel Salé, I was quite content to spend my crisp, bright early November afternoon sitting in the Jardin de l’Hôtel Salé-Léonor-Fini looking at the colours and listening to the sounds of a Parisian Autumn. THE ENGLISH WORD ‘square’ has been adopted by the French to describe a particular type of open space. A Parisian ‘square’ is typically a small urban green space not large enough to be called a parc (the grassy variety) or a bois (the wooded variety) and not sufficiently formal in its plantings to be called a jardin. There are a large number of squares dotted throughout the twenty arrondissements of Paris each of which offers the opportunity to escape, if only momentarily, from the urban environment and to partake of air and light. Sadly though, few Parisian squares are completely free from the noise pollution create by endless traffic. Opened in 1857, the Square du Temple in the 3rd arrondissement is one of the squares created by Jean-Charles Alphand, directeur de la voie publique et des promenades de la Ville de Paris, during Baron Haussmann’s reconstruction of Paris in the late nineteenth-century. The Square occupies part of the the site of a medieval fortress built by the Knights Templar in 1290. Covering some 130 hectares, the fortress or, l’enclos du Temple, featured a number of buildings important to the running of the Knights Templar Order including a church, a massive turreted keep known as the Grosse Tour (great tower), and a smaller tower called Tour de César (Caesar’s Tower). Parts of the fortress were used as a prison during the French revolution. Louis XVI was a prisoner here from 13th August 1792 to 21st January 1793, before being taken to the guillotine and Marie Antoinette was here from 13th August 1792 to 1st August 1793 before being taken to the Conciergerie, from where she too went to the guillotine. After the revolution, l’enclos du Temple become a place of pilgrimage for royalists so, in 1808, Napoleon I ordered its demolition. The final remnants were demolished around 1860 under Napoleon III. Today, at the eastern end of the Square du Temple, also standing on part of the former l’enclos du Temple, is the majestic Marie du III Arrondissement, the local town hall. 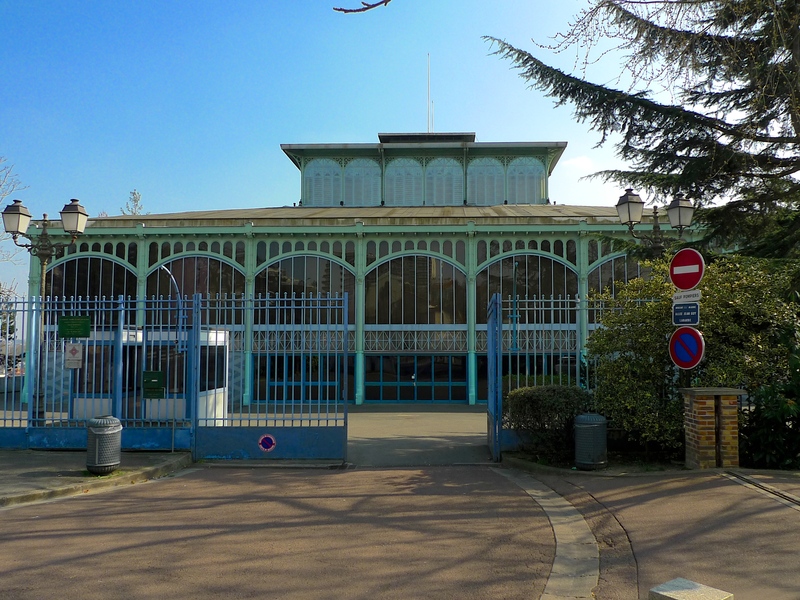 While at the north-eastern end is the Carreau du Temple, originally a covered market built in 1863 but now a multipurpose space with a 250-seat auditorium along with sports and cultural facilities, including a recording studio. I visited this typical Parisian square on a sunny, mid-October afternoon and, along with the lawns, the pond with its artificial waterfall tricking over rocks imported from the forest of Fontainebleau and the chestnut, Turkish hazel and Japanese Sophora trees, I found the sounds of children dominating the soundscape. It’s a monument, inaugurated on 26th October 2007, carrying the names and ages of ‘87 tout-petits n’ont pas eu le temps de frequenter une ecole’: 87 Jewish toddlers aged from 2 months to 6 years living in the 3rd arrondissement who were deported from Paris between 1942 and 1944 and subsequently exterminated at Auschwitz. ALTHOUGH HE SURVIVED several assassination attempts, King Henry IV of France, the first French monarch from the House of Bourbon, finally succumbed to the knife-wielding catholic zealot, François Ravaillac, in the Rue de la Ferronnerie in Paris in May 1610. Henry ruled France from 1589 until his assassination and although not universally popular in the early years of his reign his reputation soared after his death. Henry did not succeed to the French monarchy unopposed. Although baptised a catholic, he was raised a protestant. Upon the death of his brother-in-law and distant cousin Henry III of France in 1589, Henry became monarch and to begin with kept the Protestant faith. This set him against the Catholic League, a collection of powerful catholic aristocrats aided by Pope Clement VIII and Philip II of Spain, who denied that Henry could wear France’s crown as a protestant. It would take a nine-year siege of Paris and his conversion to catholicism for Henry to secure his crown from the influence of the Catholic League and Spanish interference. Despite having come close to assassination in 1572 during the Saint Bartholomew’s Day massacre, a wave of catholic mob violence and targeted assassinations against the protestant Huguenots, Henry displayed an unusual religious tolerance for the time. In 1598, he promulgated the Edict of Nantes, confirming Roman Catholicism as the state religion but granting religious freedom to protestants. The Edict of Nantes effectively ended the French ‘Wars of Religion’, which had lasted for thirty-five years and cost some three million lives. Having established his monarchy Henry had secured relative peace at home but he also set out to secure peace abroad. Although his reign saw a continuation of the rivalry between France, the Habsburg rulers of Spain and the Holy Roman Empire for the mastery of Western Europe, something that would not be resolved until after the Thirty Years War following his death, Henry set about successfully resolving more immediate disputes with Spain, Italy and the Ottoman Empire. His vision also extended beyond France; he financed several expeditions to North America, which saw France lay claim to Canada. While Henry’s reign was characterised by his forthright manner, physical courage and military successes: he once asserted that he ruled ‘on a le bras armé et le cul sur la selle’, with ‘weapon in hand and arse in the saddle’, he was also a pragmatic politician. Working with his long-time faithful and trusted lieutenant, the nobleman, soldier and statesman, Maximilien de Béthune, Duc de Sully, Henry set about creating prosperity at home. He built a strong centralised administrative system, regularised state finances and encouraged education; he promoted agriculture, public works, the construction of highways and the first French canal and started some important industries including the Gobelins Manufactory, later to become tapestry makers to the court of the French monarchs. Henry restored Paris to a great city and some examples of this can still be seen today. He built the Place Royale, now the Place des Vosges, the oldest planned square in Paris and, for a time, the French nobility’s favourite place of residence. Along the Right Bank of the Seine he added the 400 metre long Grande Galerie to the Louvre Palace inviting hundreds of artists and craftsmen to live and work on the building’s lower floors. In 1607, Henry inaugurated the Pont Neuf, the oldest standing bridge across the river Seine and to mark the occasion a statue of him was erected on the bridge ‘on a le bras armé et le cul sur la selle’ in 1614. Unfortunately, Henry was unseated from his saddle during the French Revolution when his statue was destroyed. The statue we see today is a replica erected in 1818. Henry IV was undoubtedly a man of vision and courage and he became, perhaps more posthumously than at the time, a popular monarch often known by the epithet, ‘le bon roi Henry’ or ‘Good King Henry’. But he also gained an epithet that reflected another side of ‘le bon roi Henry’ and at the Pont Neuf there is a reminder of this. Jutting out into la Seine from the span of the Pont Neuf is a promontory that forms the western tip of the Île de la Cité. This promontory was created in 1607 by joining two existing small islets, the Île aux Juifs and the Île du Passeur. It was on the Ile aux Juifs that Jacques de Molay, the Grand Master of the Order of the Knights Templar and his lieutenant Geoffroy de Charnay, were burned at the stake on the orders of King Philip the Fair in March 1314. In 1884, this promontory was bought by the City of Paris, landscaped into a public garden and named the Square du Vert Galant, a rather sardonic reference to the other side of ‘le bon roi Henry’. Not only was Henry regal in public, it seems he was also regal in the boudoir – he was a serial philanderer. 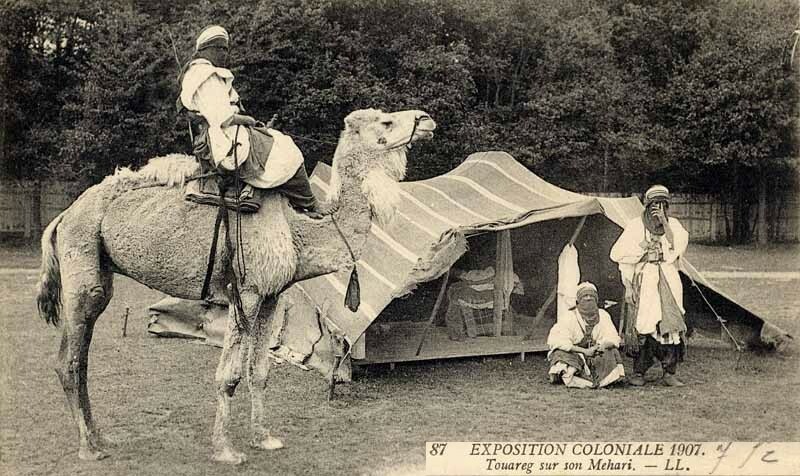 He became notorious for his sexual exploits, taking on many lovers and earning the epithet “Le Vert Galant”. Le Vert Galant doesn’t translate literally into English but, in this context, one can approximate ‘vert’ to ‘racy’ or ‘risqué’ and ‘galant’ to ‘a man who loves to seduce women’. Anyway, you get the idea! The women in Henry’s life played a significant role in the politics of his reign. He married his first wife, Marguerite de Valois, in 1572. They were repeatedly unfaithful to each other and their childless marriage collapsed leading first to their estrangement and then to an annulment in 1599. Despite fathering several children with a variety of mistresses Henry was in need of a legitimate heir. In 1600, at the age of forty-six, he married his second wife, Marie de’ Medici, who bore him six children, including the future Louis XIII. Henry was unfaithful to her as well and insisted that she raise his illegitimate children along with her own. Henry’s womanising became legendary; he always kept mistresses, often several at a time, as well as engaging in random sexual encounters. Even so, he tended to elevate one mistress above the others and shower her with money, honours, and promises. His two most famous mistresses were Gabrielle d’Estrées, who died in 1599, and her successor, Henriette d’Entragues, who involved herself in plots against the crown. Henry promised marriage to each of them, exposing himself to a series of political problems. After decades of religious war, Henry brought peace and relative prosperity to France and his reign had a lasting impact for generations. He was one of the first monarchs to elevate national unity above religion in terms of importance for a ruler. A cult surrounding the personality of Henry emerged during the Bourbon Restoration, the period following the fall of Napoleon in 1814 until the July Revolution of 1830. Although his statue on the Pont Neuf was torn down during the French Revolution, it is significant that it was the first to be rebuilt afterwards. The Square du Vert Galant and the statue of Henry IV sitting proudly atop the Pont Neuf close by represent two very different sides of Henry IV. … He was a great and charming man, and what is remarkable about his legend, what makes it so different from that of any other hero king, is that it preserves the memory of his failings as well as of his virtues. It is the most human of all royal legends. 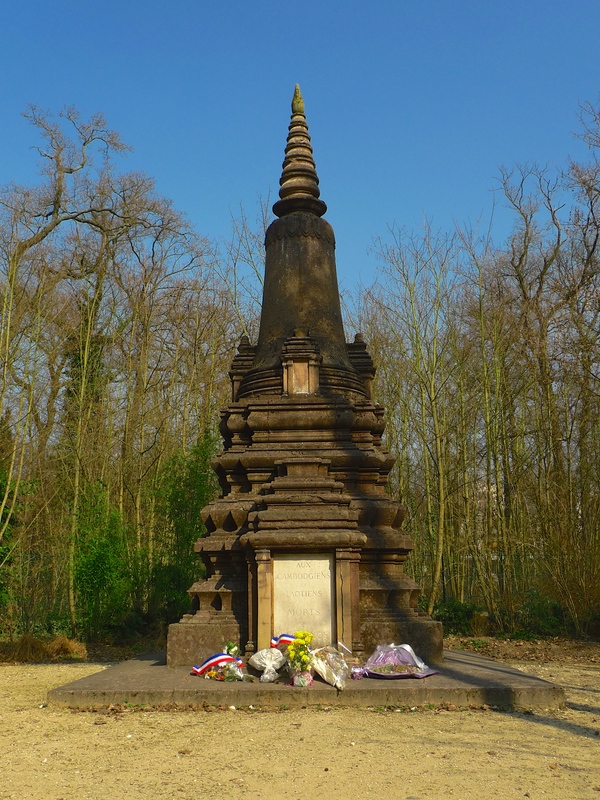 THE TEMPLE DE LA SIBYLLE may not be the highest point in Paris but it does sit atop a man-made cliff fifty metres above an artificial lake in the Parc des Buttes Chaumont. Inspired by the Temple of Vesta near Rome, the Temple de la Sibylle is the central feature of the Parc des Buttes Chaumont, a park opened in 1867 for the recreation and pleasure of the rapidly growing population of the then new 19th and 20th arrondissements of Paris, which had been annexed to the city in 1860. Situated close to the former Gibet de Montfaucon, the gallows and gibbet of the Kings of France where, up until 1760, the bodies of executed criminals were left hanging as a warning to the public, the site on which the Parc des Buttes Chaumont now stands became, after the 1789 Revolution, a refuse dump and then a place for cutting up horse carcasses and a depository for sewage. Fascinating as this is, I will leave a more detailed exploration of the park with its former gypsum and limestone quarries, its temple, its lawns, its lake and its grotto for another time. In this post I want to explore something different. For several years I’ve been visiting the Parc des Buttes Chaumont, partly because it’s a nice place but more importantly because it’s a place that has become a focus for a particularly challenging aspect of my work. I record urban soundscapes, particularly the soundscapes of Paris, and I’ve learned a lot about how to record urban soundscapes by studying the philosophy, images and techniques of great photographers. Although the context of these quotations is of course photography they apply equally to sound recording and particularly to the recording of urban soundscapes. Robert Capa’s dictum, ‘If your pictures aren’t good enough, you aren’t close enough’, is especially relevant to my work. Key to recording urban soundscapes is to become part of the soundscape without changing the soundscape, in other words to get close to the sounds without changing the overall soundscape. Over the years, and after much trial and error, I’ve developed techniques for doing this. But there remains a challenge in my urban soundscape recording work that is not covered by Robert Capa’s dictum, in fact it’s the antithesis of it, and it’s a challenge that I’ve been trying to address in the Parc des Buttes Chaumont. This is the view over the 19th arrondissement from the Temple de la Sibylle on top of the cliff in the park. The lake is 50 metres below the Temple and the tower blocks in the distance are 1.5 km away. Although my photograph is unlikely to win any prizes it does I hope reflect the prospect from the Temple de la Sibylle along the Avenue de Laumière to the tower blocks at La Villette. The picture has a sense of perspective with the lake and its surrounding path in the foreground, the road crossing from left to right and the start of the Avenue de Laumière in the centre, the tower blocks in the distance and the hill beyond in the far distance. My challenge is: how to capture the soundscape associated with an image that took 1/250th of a second to make, which stretches from 50 metres below me to over 1.5 km ahead of me. In other words: how to capture in sound the elusive concept of perspective. With today’s sophisticated technology it’s possible to manipulate sounds in post-production to create almost any effect you want. But despite all the gadgetry, perspective remains perhaps the only thing that cannot be created in post-production; it has to be captured on location in real time. If you listen to wildlife recordings you will often hear wonderful examples of perspective captured in sound but capturing perspective in a busy urban environment is an enormous challenge. This recording is a 20-minute sonic exposure of the scene looking out over the 19th arrondissement recorded from the edge of the cliff directly in front of the Temple de la Sibylle. Whereas Robert Capa’s dictum would require me to be close to the sounds, here I am doing the opposite – attempting to capture a sense of perspective by recording from a distance. I chose to make this recording in the middle of a weekday afternoon – exactly the wrong time one might argue to achieve a ‘perfect’ recording. It would surely have been better to record at six o’clock in the morning as the area was waking up or at eleven o’clock at night as it was going to sleep. Well, apart from the fact that the Parc des Buttes Chaumont is closed at those times, it depends upon what one means by a ‘perfect’ recording. “There is nothing worse than a sharp image of a fuzzy concept”, Ansel Adams tells us and, in the context of my work in Paris, ‘perfect’ recordings are a fuzzy concept. The Parisian soundscape is what it is, and not always as ‘perfect’ as I would like it to be, so I try to make good recordings of course, but I’m much more interested in capturing reality than perfection. Robert Frank suggests that, “The eye should learn to listen before it looks” – good advice that translates well to the world of sound recording. I usually describe myself as a ‘professional listener’ rather than a sound recordist. Time spent listening before pressing the ‘Record’ button is always time well spent. While hearing is instinctive, listening is an art that has to be learned and while my recording from the Temple de la Sibylle may seem to be dominated by the ribbon of traffic passing across the centre of the scene, attentive listening will reveal much more. People it seems are wedded to their motorcars so, like in most cities, traffic overwhelms most of the streets of this city. The Mayor of Paris is trying to alleviate this to some extent but I fear she is facing an uphill struggle. In the meantime, the sound of traffic will continue to dominate the Parisian soundscape and subjugate pedestrians to unacceptable levels of noise and noxious pollution. As I said earlier, the Parisian soundscape is what it is, and not always as ‘perfect’ as I would like it to be! But underneath the ribbon of traffic other sounds are fighting to be heard. The sound of ducks in the lake below me can be heard throughout the piece, as can a distant church clock sounding three o’clock and an even more distant church bell chiming. A testosterone fuelled young man makes an appearance to my right shouting to his friend on the far side of the park, there are the obligatory sirens, this time from the red ambulances of the sapeurs-pompiers de Paris, and in the far distance the very faint sound of a car alarm. But perhaps the most surprising thing in the piece is one of the shortest and quietest sounds. It occurs twelve minutes into the piece and it’s the sound of an angler sitting on the bank of the lake fifty metres below me reeling in a fish. The sound only lasts for six seconds (it must have been a very small fish) so don’t blink or you’ll miss it. This recording is one of many I’ve made from the hills in the Parc des Buttes Chaumont over the years attempting to capture the perspective looking out over the 19th arrondissement. All the recordings are different but so far none of them have quite managed to capture the idyllic perspective I have in my imagination. Chasing that ideal continues to be a challenge – but that’s why it’s so endlessly fascinating. Judging an appropriate level to listen to sounds can be a tricky business. As a guide, the traffic at the head of the Avenue de Laumière was approximately 500 metres from my recording position so the level that you listen to these sounds at should reflect that. Less is more!